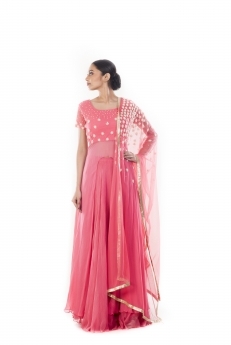 Featuring a light coral lehenga set with a long jacket, lehenga and a dupatta. 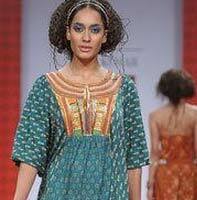 The outfit has perfect golden embroidery done on it by using katdana stitch and sequins along with a golden lining. 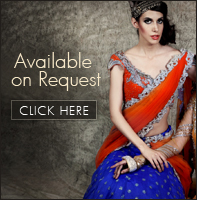 Fabric specification: The lehenga has been made with chiffon and taffeta lining. 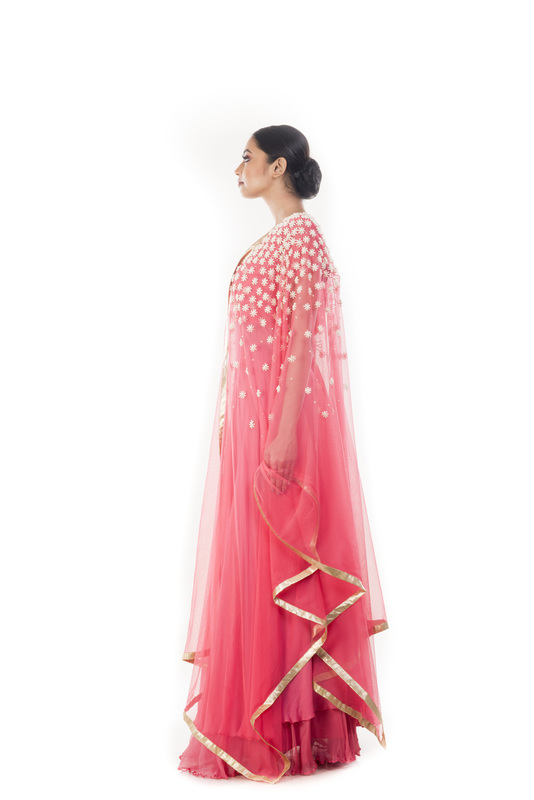 Also the dupatta is made of soft net with a jacket made of georgette.